Out of the Office? If so, Why are You Stressing About Work? You have a successful practice and a number of clients, maybe too many. You enjoy your work and the good you do but along with the job comes a lot of stress and long hours. There just doesn’t seem to be enough hours in the day. How many times during a meal with your family or when you were relaxing with friends your phone rang? How many times did you pull the plug on what you were doing to respond to a client or a matter that was, or at least seemed, urgent? You may have many people relying on you. You may have all sorts of big plans for your practice and your family. You may have a beautiful house, and this being Southern California, your mortgage could probably pay for two or three nice houses elsewhere in the country. So it’s not like you can drop everything and work full time on your golf game or start working towards becoming a professional surfer. But, unless you can ease off on that stress and all that time spent on working, you may be burned out. Your spouse may get tired of having a partner who he or she sees twenty minutes a day, your kids’ greatest memories of you may be the fact you weren’t around, and your unplanned end may come behind your desk or while you’re at a deposition. Not how you want to go, is it? Life has unintended consequences. Here are some suggestions from The Muse to help you with that “work/life balance” we’re all supposed to achieve. Your health and sanity are worth the effort. Put in your calendar a reminder to leave the office early. You get caught up in what you’re working on and before you know it you’re the only one in the office. Maybe you tell yourself you’ll just stay for another thirty minutes and it becomes an hour. By the time you leave, you are fried and not very good company. Create a reminder to at least try to force yourself to leave at a decent hour. It may not work all the time, but it’s a good start to leave the office while you still have time and energy for other people in your life. Do you really need to respond to that 9:36 pm email from your client before you go to bed? Can’t it wait until the morning? Must you concern yourself with that email that was received Saturday afternoon when your son was playing baseball? Will the case fall apart if your response is delayed until Monday? What’s your firm’s email policy? If it doesn’t require you to set up your work account on your phone, be bold and remove it yourself. If it does, be a rebel and ignore the emails if you’re doing something fun or enjoying “quality time” with someone you care about. 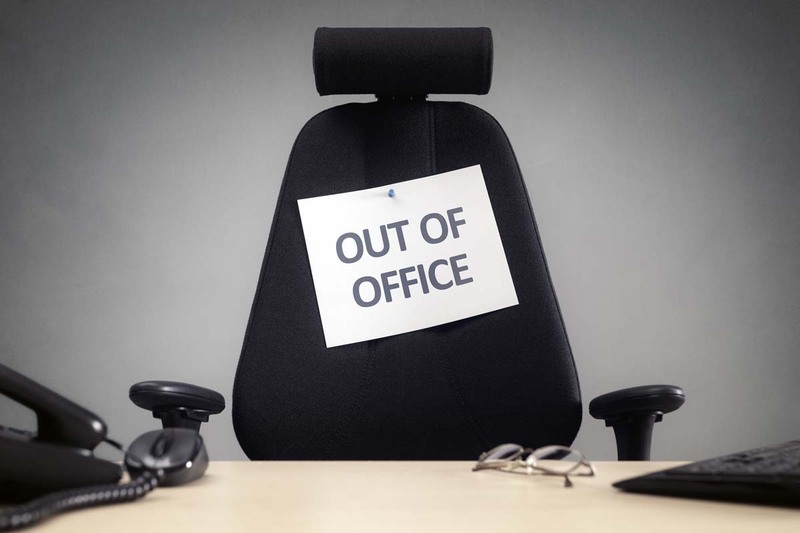 What stresses you out the most when you leave the office at the end of the day? Is it a feeling you could’ve or should’ve done more that day? As a result, maybe you’re checking you’re constantly checking your emails and stressing your night away. Instead, write a to-do list for the next morning before you leave. Unexpected things will inevitably come up, but this list should give you some peace of mind and empower you to leave at a decent hour. These are some tools for your “work/life balance” toolbox, and like all tools, they’re only useful if you actually use them. Give them a try.